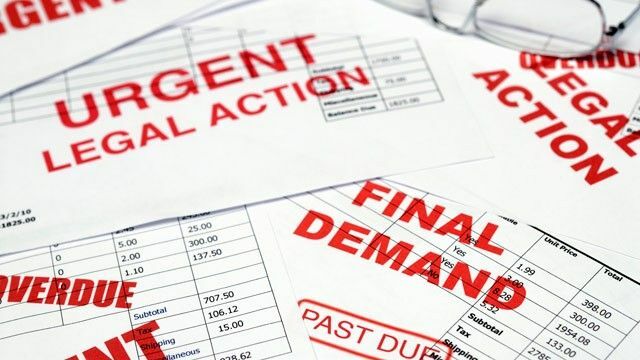 Debts prescribe (become uncollectable) after a specified period of time – 3 years for most run-of-the-mill debts but 30 years for others such as judgment debts, mortgage bond debts, property rates and tax debts. Various other periods apply to specific statutory debts and a few other exceptions – take advice if you need more detail. It’s important to know that the prescription period can be “delayed” in certain cases. For example where the debtor is a minor or insane, or under curatorship, or out of South Africa etc (there’s a long list). Prescription can also be “interrupted”, most commonly by serving summons on the debtor or by the debtor making an “express or tacit” admission of liability. It’s that last scenario we’re going to discuss, because of course it’s both an opportunity for creditors to extend the prescription period, and a danger for debtors waiting hopefully for their debts to prescribe. Unscrupulous but savvy debtors will accordingly try their utmost to avoid making any form of admission of liability. Now a new SCA (Supreme Court of Appeal) decision has just added a significant twist that both creditors and debtors should take note of. It revolves around the principle that during settlement negotiations we can safely make admissions “without prejudice”. The idea is that, in order to encourage us to avoid the expense, delay, hostility and inconvenience of litigation, we can speak frankly without fear that our admissions can later on be used against us in court. The only exception to that rule has (until now) been that an “act of insolvency” can be proved by admissions made by a debtor in without prejudice negotiations. An estate agency claimed R2.147m in sales commissions from a property developer. The developer in turn sued the agency for R1.023m for a variety of counterclaims against it. During settlement negotiations the developer admitted its liability for the commission claims but suggested, on a without prejudice basis, that the two sets of claims be set off against each other, and tendered payment of the net balance. The agency rejected this offer, a court battle ensued, and the developer raised the defence that most of the agency’s claims had prescribed as being older than three years. The SCA rejected the prescription defence, holding that the three year period had been interrupted by the developer’s admission of liability – despite it having been made without prejudice. For debtors to recognise the new danger of hiding behind the “without prejudice” shield when making admissions. The end result – the claims haven’t prescribed and the developer must fight on in the main action. Creditors: Prevention as always is a lot better than cure, so avoid arguments over prescription arising in the first place. Don’t delay in collecting debts, suing for damages or recovering any other form of claim. Serve summons on your debtor before you lose your claim forever. Debtors: We should of course all try to honour our debts. As the Roman writer Publilius Syrus pointed out over two millennia ago “A good reputation is more valuable than money”. But if you plan to fight any claim against you, you lose a valuable defence if you in any way admit liability, “without prejudice” or not.